Have your next event at our store! Unique setting for your book club, writing workshop, wine and cheese social, art class, or any other private party. Contact us for details. 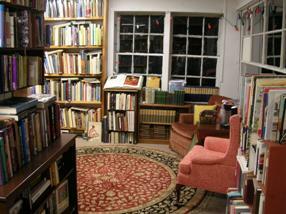 40,000+ Rare & Used Hard-bounds & Paperbacks in Stock! Looking for a book? Contact us with what you remember about the books: title, author, publisher, year, or edition you are looking for.